My Trainer Road experience …. I am an anomaly I think in that I LOVE the bike trainer. I have been riding my trainer year round for the last 8 years at least when I realized that trying to ride in the city of Toronto and have a quality session was not easy. I tried the Bridle Path loop, I tried Sunnybrook park and when it took me half my ride to get there and I had to still watch for cars while trying to ride the loops I thought the trainer would be best. And not to mention in the nice weather I could put it in my yard and wake up with the sun! I sought out many well used DVD programs and bike trainer workout books. Used my trusty heart rate monitor and away I went . Then last winter one of my clients told me he had been using this great program called Trainer Road. I was HOOKED from the get go. Really I could turn my bike into a power meter based set up for what ? $10 a month ?! Are you kidding me ? Most power meters are in the thousands of dollars. So I get about 20 years of power based workout data for the same price? Plus from ride #1 I looked so forwards to my next workout. Really this syncs with Sufferfest, Epic Rides, Real Rides etc? Now I was downloading many movies to go along with the Trainer Road program. Questions about the program, how to integrate it and any technical issues? These guys who built the program are amazing! The quickest feedback I could ever have hoped for and will work to figure out the problem until it is done. Awesome. Now for the results …..after 6 months of following the Sweetspot and Build programs plus interchanging with some of the video workouts and searching the huge database of workouts other than those in the program I was ready to test my new found fitness on the roads! Hills that used to seem daunting were so much easier ! My main male riding partner was not keeping up with me for those long efforts on the bike! And my race results we’re much stronger on the bike and run! This is very cool I thought. A year later and I still look forward to each and every Trainer Road workout. I am finding out new and interesting things all the time . Like how to get it to sync with Best Bike Split so I can also ride the 70.3 and other courses. The above photo is last weekend’s Syracuse course. I did almost full ride, planning on 2:30 time. The other awesome thing about these guys and this program is they are always updating, upgrading, adding new workouts and getting feedback from the users themselves on what we want. How awesome is that! All for less than $10 a month if you choose a yearly option. Recently I was included as a Trainer Road Ambassador. I am so excited to pass on the passion for this program to others . I have some discount codes for anyone interested in giving it a try . Reply to this blog and I will be happy to pass one along! I am new to biking, so a discount card would be great. We live in Sweden, so riding a road bike in the winter is a nono. I visited toronto a couple of years ago, and bought Mats Sundin’s jersey for my wife who took it to her school. She was popular among the boys :-). Yes Mats was a very popular leaf:). Hi Elise! I just wanted to pop in and say hi to a fellow TR Ambassador! Loved reading your blog! I would be interested in trying it out if you have a code to spare! Thanks!! I am lucky enough to be an Ambassador too! TR has totally revolutionized training with a Trainer, great post! 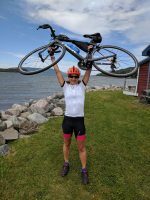 Great post and congrats with your progress! I’d be interested in trying out TrainerRoad. Thanks! I have started myself with Trainer Road this winter, and, since I have leave for six weeks, I ran only 1.5 weeks last time and 5 weeks this time, but even then I like TR so much, because of plans I can follow and instructions to improve my technique. I wish it could estimate my load as I also do 3-4 times a week karate exercise, so I’m not sure if I restore enough. Looks very interesting. I have 2 children and spend 98% of my time on a trainer. Thank you for the interesting read. It’s worth a try! I also spend most of my time and it gives it a purpose and u will definitely get stronger! hi elise, have been looking at TR a while and just ordered my suunt mini stick. A discount code would be highly appreciated. Although it summer here in Australia it seems that on my training rides I just ride tempo, and can’t really bring myself to do structured intervals. Lack of came crystal clear during the last couple of races where I failed closing gaps when it mattered. Riding on the trainer +TR workouts would solve that. I have a tacx t2200 and I believe it should be compatible with TR. Give it a go! YOu will love it . During the week when I can’t travel far for good long rides I put my trainer in my backyard and ride early with the computer on a chair and my Ipod on ! Seems like its really a well developed tool. Do you use the virtual power option? HR monitor? Which option did you select for power synced to trainer road? Hi Shawna. I use the speed cadence monitor for virtual power . I don’t otherwise have a power meter on my bike but use the cadence speed plus the USB ANT stick to get the power readings . I have my heart rate monitor on but find the power options far more reliable . It’s an awesome tool and very well developed and supported by the guys who developed it . To its great. The virtual power is nice. Even if everyone’s trainer diets you calibrate yours to you with the fit tests. Unless you’re comparing power with others it doesn’t matter. It keeps the ride interesting (most important) and keeps you honest giving a great workout. I was reading a Joe Friel book and am incorporating their base and build workouts with it. They make it easy and give you so much. I just started mountain biking the fall before last, started this last February and when I started riding a road bike that summer I was staying with the front of the club rides. Not bad for a first year. Oh yeah I did some mtb racing. Started mid pack an won the final. Beginner class, cat 3,but a nice start. Getting ready for cat 2 this year. Oh yeah, I’m 46, not a bad time to get in shape. Mike agree on the fitness and FTP ! I rode faster than all of my partners except one :). And felt my endurance on longer rides was so much better . And hills too! Hi, great post! I just started using trainerroad and this are my thoughts exactly. After years of heart rate based training, I really feel now that my workouts count more. And with time being an important resource for me, getting more fitness with harder workouts in less time is well worth the $10 a month. It’s weird how much more motivating it is to get on the trainer when you now it really counts. All that’s left now is convincing my wife to get into trainerroad. She had a one season break after having a baby, but I feel her motivated to get back into MTB racing this year and this seems the best way to get her fitness up. Stefan that’s Awesome . I hope she gets on the trainer too and with a baby at home it makes sense as it is an easy way to get workout in without having to leave the house . My daughter has grown up seeing me every morning doing something active and coming to races and she too now loves to do tris and run events . She started when she was 3 and she’s 10 now and so athletic! You make this sound super exciting and actually useful. For not much. Sounds too good to be true. Would love to try it and come back to you with feedback. Cheers. Thanks for the article, I have been interested in trying their system out. Do you still have any promo codes left? I would also love to try it out. Do you still have some promo codes ? Hi, no I don’t sorry!! That was a long time ago. 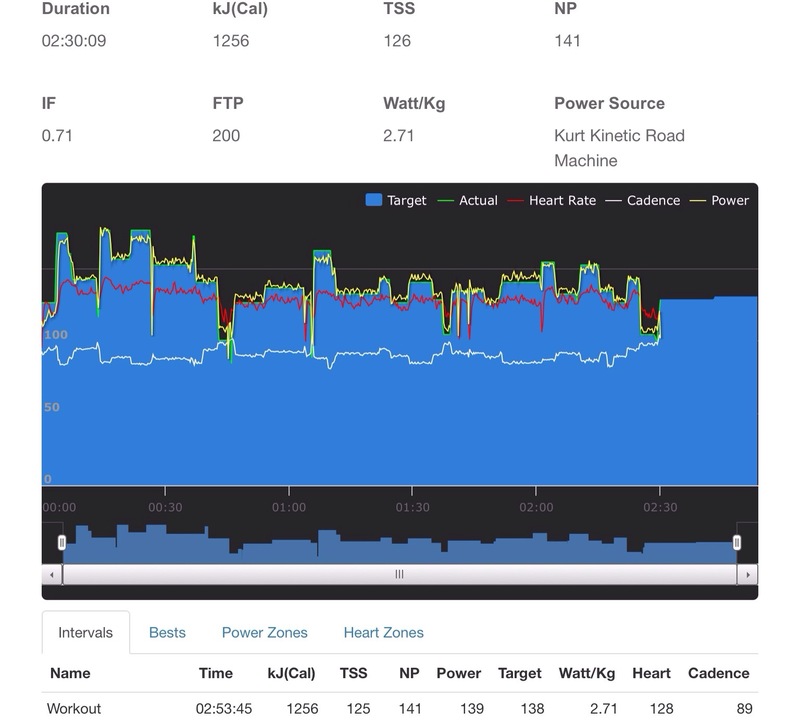 I checked out TrainerRoad 3 days ago with my bro. It is fantastic. I’m realy considering to sign in. Can you provide me with a coupon code please. Yes it’s a great program. Oh I haven’t had coupon codes in a long time! Do the free trial then decide if you want to continue. I still use it every time I ride indoors. I’m new to trainer road but looking forward to success using my trainer. May I have a discount code? Hi I don’t have any more at this point. They mentioned giving out new ones in the future but I don’t know when that’s going to happen. Best case is try it out. Do they still offer the free month? Hi there Elisey I have just bought a Tacx Booster T2500 and was thinking about using a Turbo app that is based on Power. I currently use the FREE Wahoo Fitness app that is good for 10 warmups but not very good for a sufferfest could you drop me a discount code please so that I can try out TrainerRoad ? Owen send me an email and I will so it’s private and no one else steals the code! Hey Elisey, hope i manage to learn how to love my trainer too! If you still have codes to give away that would be great. Hi sorry I don’t have any codes. They usually allow a free month trial I think. Hello i want to try the app i hope have same result that you have. Hi sorry I don’t have any codes left. But I think you can get the first week or two free?